A Carnie for all time. for A Clown on Fire’s perfection. 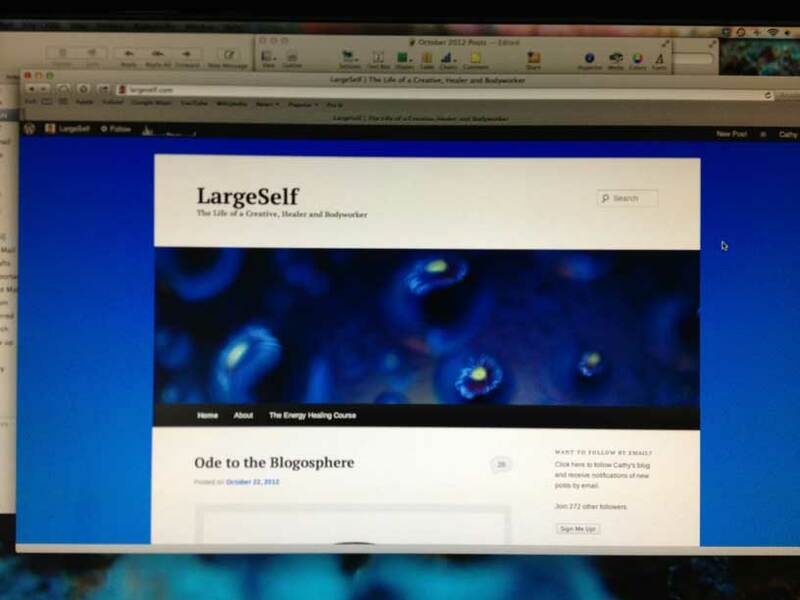 “Ode to the Blogosphere” was an Editor’s Pick for October! Thank you, Michelle and WordPress! Last week, Mimi at WaitingfortheKarmaTruck.com included me in the Ligo Circle of Appreciation. 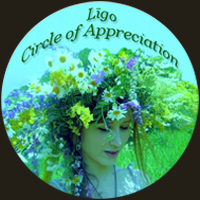 Somewhat different than a blog award, the Ligo Circle is a way of including and acknowledging those bloggers who have touched our lives through their blogs in a special way. Had I received this honor from someone else, Mimi would have been on the top of my own list for inclusion. Her blog is always a favorite and when I thanked her, she said: “I was so happy to be able to give your talents some attention, Cathy. You are someone who I am sure I would befriend in the real world, and as such value you with the same tenderness that one saves for those they love.” That’s Mimi. Mimi shares inspiration, humor, a love of family, ethics and her favorite music. When she was Freshly Pressed recently for a hilarious post about stink bugs, she was somewhat dismayed that the tag under the FP announcement for her post said “More Entomology.” But true to form, she laughed it off, accepted her reputation as a “bug” person and included a picture of a praying mantis in the follow-up post. There are so many bloggers who I do include in my circle of appreciation – people who I now consider friends – people I care about and miss when they take a break from blogging. But I will choose only two for the purposes of this post and hopefully in the next few weeks, I plan to finally put together my blogroll. And I invite Madame Weebles. Lord knows she doesn’t need the additional press. This week, she offered to throw a virtual tea party on the blogosphere and got 80 RSVPs! She’s my blogging heroine – and I’ve told her that many times. Weebs is funny, irreverent, kind (a word she uses for me but it also fits for her), a great writer and a historian. She’s also a Reiki practitioner and my friend. As busy as she has to be answering all of the comments that she gets on her blog, she always seems to be able to make the time to come over to my site and comment whenever I put up a post. And I always appreciate it. To Julie and Weebs, I simply want you to know how much I appreciate you. Please don’t feel that you need to do anything further than to know this, but if you choose to participate, it is an honor to include you in the circle and to see who you would invite. Finally, in my humble opinion, a blog is a place to express one’s unique world view in a way that enriches the blogger and those who come to visit. May your blogging experiences lead you to new paths of appreciation and your circle. Yesterday, we got our first snow of the season here in Colorado. After being Freshly Pressed on Wednesday and Thursday, I was still joyfully replying to comments on the awarded post, and wanted to write a short poem and put up a picture before leaving for a full day of clients at the office. So I cheated and used a photo from a huge snowstorm last October. I did confess my transgression in the comments, but my friend Clare asked me to post what my beautiful environment looks like now. By the time I got home last night, it was dark and all the snow had melted. Having grown up in the South where snow is a rarity, the first Autumn storm is always a delight. 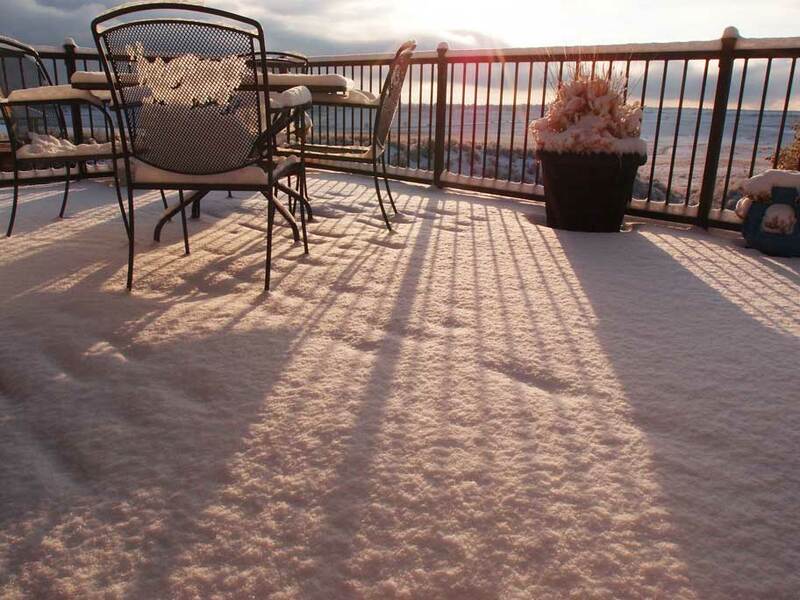 For an avid skier, it means the slopes will soon be calling. Peter and I met skiing twenty years ago (yes, on the lift) and we still share our passion. Here’s the post about that story if you’re interested. We buy a season pass and try to go up every Friday to one of our ski areas about two and a half hours away. We usually leave the house around 6 am, get to mountain about 8:30, ski like Banshees for five or six hours, have a late lunch and then head home before Friday afternoon rush hour in Denver. It’s a long day, but worth the effort for us. Skiing is great exercise, but also a way to get outside in the winter, enjoy the magnificence of the Rocky Mountains and expose ourselves to much needed sunshine and fresh air. It keeps the cabin fever away and also keeps us in great shape. So here are my questions for you: Have you ever tried skiing or snowboarding and if so, what is your favorite experience? If not, ever wanted to try it? Where do you like to ski or ride? If it’s a passion, why? from Michelle, the Story Wrangler. A short gestation – one to two days. to experiment, to publish all these pics. 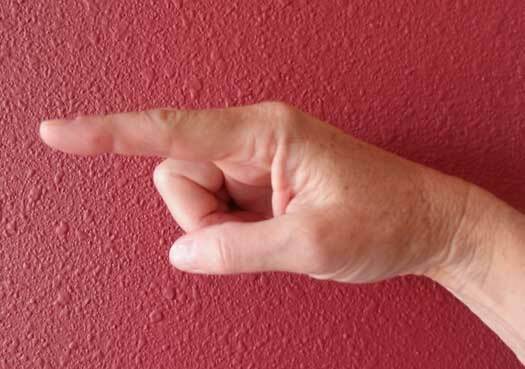 comments, support – egging me on. My friend, Clare Flourish, tigged me almost two weeks ago. My apologies, Clare, for taking so long to get to this. Excuses aside, I finally have some time to devote to it. I’ve decided to ignore most of the rules of the tig, and do it my way (as Clare says, “So sue me! An appropriate comment from a former Solicitor – Clare, that is). I’m just going to answer her questions. But if you’re curious, you can go to her site and read the rules here. 1. Tell me something I don’t know. Well, coming from you Clare, I’m not sure there’s much that you don’t know. I’m not kidding! Your intelligence astounds me and I have a pretty high intellect, myself. But, I think you probably meant something you don’t know about me. Hmmm, something you don’t know…I played classical guitar for over ten years, still have my beautiful guitars and if I ever quit doing bodywork, will probably get back to playing (fingernails and bodywork just don’t mix). 2. Tell me who you are. I am a child of the Universe, continually unfolding, growing and – honestly, these days, just learning how to be me. Which sometimes isn’t all that easy…but getting better. 3. Tell me what you love. I think being born a 5-time Scorpio (Sun, Moon and three planets) I’ve come to realize that I love all the vibrations that my senses can show me – food, music, exercise, color, art, writing, reading – drinking in the sensual experiences of this world. Oh wait, that’s the Golden Globes. I want to thank those who have sent awards my way and also to apologize for taking so long to get this post together. With getting ready for vacation, going on vacation and getting things done after coming back from vacation, this has been my first opportunity to assemble this post. Katrina at Freedom to a Full Life generously nominated me for several awards in June. Thank you, Katrina! Yours was one of the first blogs I followed when I joined the WordPress community and I continue to enjoy your wonderful posts. You always leave me with things to ponder. Thank you, Clare. Your insights and dedication to honest and heartfelt dialogue inspires, stimulates and enlightens and I so enjoy your perspective. Thank you, Athena for your friendship and wisdom. I love the topics that you discuss (Angels, miracles and dreams to name just a few) and your viewpoint. I have decided to pick just one blogger for each of these awards today to bestow a nomination (except for Clare for which I nominate twice), but I am creating a BlogRoll of some of my favorite blogs on a separate page and I also am creating a page for my awards where I will permanently acknowledge those who have honored me with these lovely awards and display them proudly. For those of you nominated, please know that I am offering this award as a way of honoring your work in the WordPress community. If you feel that you would like to participate, please acknowledge my nomination with a link-back and feel free to nominate as many or as few blogs as you feel appropriate. If you don’t wish to participate, that’s fine too. My desire is to spread the word about your blog, but not to create any stress or added work for you. My feeling is that these awards provide a way for us to find each other and learn of the amazing wealth of creativity and diversity in the blogosphere. So pass it forward if you are so inclined. Finally, one of the common threads (sets of rules) throughout these awards is to share things about ourselves that may not be known through our blogs so I’ll share those at the end of this post. For The Dedicated Follower Award, I nominate Russ Towne – A Grateful Man. 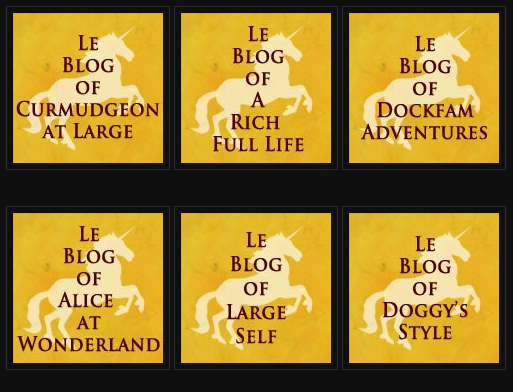 I think Russ is probably the only person who has read every post on my blog! His comments are always appreciated and I so enjoy his blog. It is filled with humor, love, and inspiration. Thank you, Russ for being here. 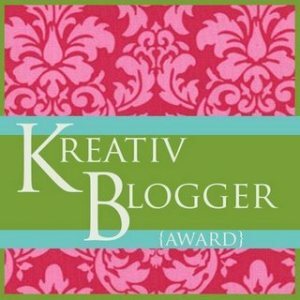 For The Kreativ Blogger Award, I nominate Russel Ray Photos Russel is a wonderful photographer who lives in San Diego and shares his love of that beautiful city along with his fantastic flowers and his cat Zoey. (I’m a sucker for the cat pictures.) He’s funny, interesting and always entertaining. 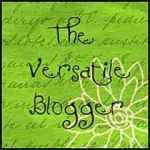 For The Versatile Blogger Award and The Kreativ Blogger Award, I nominate Clare Flourish. She is a gifted writer who shares her perspectives on her life as a Trans Woman as well as her viewpoints on religion. She always leaves me with a lot to think about. 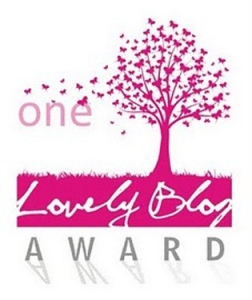 For The One Lovely Blog Award, I nominate Cooking Intuitive written by Julie Hansen. Juie’s primary blog, Julie Hansen Intuitive is where she shares her insights and experience as an intuitive healer. Cooking Intuitive is her wonderful inspirations with food. Her ideas are fun, easy and tasty – and for those of you who adhere to a vegetarian or vegan diet, Julie’s blog is a wealth of information. 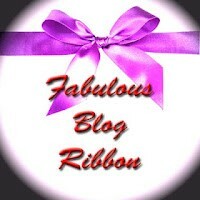 For The Fabulous Blog Ribbon, I nominate Searunner. I love his photos from around the world. 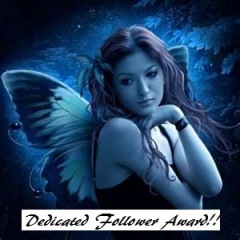 Thank you, again, to my nominators and congratulations to all of my nominees and thanks for all the blessings you bring to me. 1. I love just about any food with the exception of a handful of things – and Rutabaga turnips is at the top of the list (of things I won’t eat, that is). 2. My favorite music genre is jazz. 3. In my twenties and thirties, I was a competitive runner. 4. I bought new skis this year – Volkl Kenjas and I LOVE them! 5. I like to write with a fountain pen. I think that’s it for now! © Cathy Ulrich and LargeSelf, 2012-2014. Unauthorized use and/or duplication of this material without express and written permission from this blog’s author and owner is strictly prohibited. Excerpts and links may be used, provided that full and clear credit is given to Cathy Ulrich and LargeSelf with appropriate and specific direction to the original content.